If you're a young family looking for a travel trailer to take you on your next adventure, then look no further! 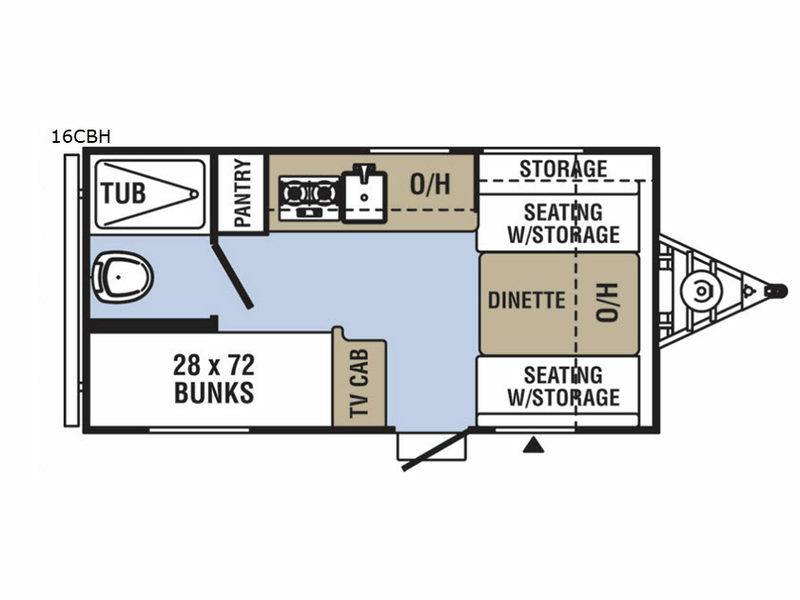 This Clipper Cadet will give you the comfortable camping experience you desire. It features a set of bunk beds for the kiddos and a booth dinette, which can be made into a bed at night for you, while functioning as a meal area during the day. 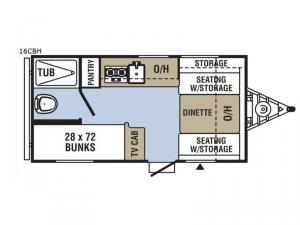 There is ample storage with space beneath the dinette seats for bedding, games, and camping equipment. The rear toilet and tub/shower area can easily be accessed while still providing you with privacy. The kitchen not only allows for making meals, it is also appealing to the eye with its lovely Dark Ash cabinetry and the stone cast sink with high neck faucet. Take a look today! If you are looking for ultimate value in a lightweight towable, then the Clipper Cadet is for you! Each Clipper travel trailer weighs around 2500 lbs., allowing you to tow them with today's smaller, fuel efficient vehicles. On the exterior you will find an aerodynamic front profile, a walk on roof, which allows you to maintain the top of your unit and keep it clean, plus a power awning that creates an outdoor living space. Some of the features you are sure to love inside are the residential laminated countertops, Dark Ash cabinetry, Ultra Comfort 4" high density cushions, and a 6 gallon DSI gas water heater, which allows you to start your water heater with the touch of a switch rather than having to manually light it with a match or striker. Choose your favorite layout today and start camping tomorrow!